The following is the History of Harmony Lodge, No. 18, as written by Alex Wright, in 1933. No attempt was made to update or change this original document since he obviously put into it a lot of work. The original formatting was lost by saving this as a text document, but that is the only deviation from the original. In presenting to you a history of our Lodge, I want at the outset to enumerate a few of the trials and tribulations I have had in securing and compiling the material contained herein. As is generally known among us, the records for the first seven years of our existence were destroyed by fire and consequently the history of those years had to be replaced by such official data as could be collected from various sources and from memory, principally through the brethren active in the Lodge at that time. I appealed to Grand Secretary Horace W. Tyler for such facts as he could produce, but he was unable to help me to any great extent and stated that his office had no apparent official record of the meeting place of Harmony Lodge at the time of its organization nor subsequent meetings during its earliest days. Brief and disconnected correspondence of the period and none too elaborate annual reports also of record in his office, failed to give much of historical value. However, in past conversations with the older, and now deceased members of this Lodge, or members of the surviving families, I have collected some facts that may be of interest. 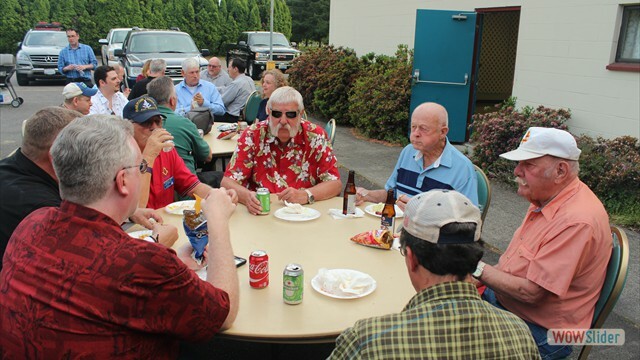 We know that thirteen Master Masons signed a petition for a new Lodge in the town of Olympia, Washington Territory, and from available records evidently in the year 1869 or possibly earlier. These original members and real builders have long since laid down their working tools and passed to their just reward. 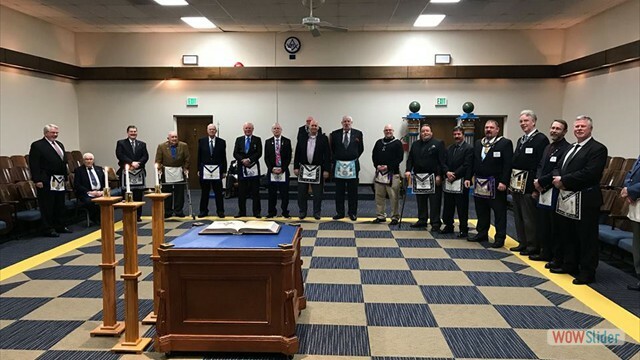 However, it was my pleasure to have known seven of these brothers personally, and how pleasant it would have been to have sat down and talked and received from many of them some of the missing details that we may never know concerning the organization and instituting of Harmony Lodge, and where it occurred. Farther on in this article will be found brief personal sketches of these pioneers that you may determine the kind and character of such men and Masons of that day. Among the preliminaries necessary to the securing of a dispensation to organize the new Lodge, the following record will be of interest and is copied from the minutes of Olympia Lodge, No. 1, of that period. The petition as presented bore no date, or, if so, failed to be included in the record. Enclosed we hand you a copy of a petition to the M. W. Grand Lodge of Washington Territory, for dispensation to form a new Lodge in the town of Olympia, believing that the best interest of the institution of Masonry in this place demand it. We therefore most earnestly but respectfully ask your Lodge to recommend to the M. W. Grand Lodge, that the prayer of our petition be granted and as in duty bound your petitioners will ever pray, etc. Signed: J. H. Munson, F. M. Sargent, N. Crosby, Jr., Peter Dean, L. G. Abbott, W. W. Miller, E. L. Smith, R. C. Crawford, C. H. Hale, C. S. King, J. L. Myers. Hall of Olympia Lodge, No. 1, F. & A. Masons. Olympia, Wash. Territory, Sep. 6th, A. L. 5869 (1869). A communication accompanied by a formal petition to the Grand Lodge was received from sundry resident Brethren of this City asking the Lodge to recommend the Petitioners to the Grand Lodge, the said Petitioners being desirous of establishing a new Lodge in the Town of Olympia. It was moved by Bro. J. L. Myers, and seconded by Bro. C. W. King that this Lodge grant the recommendation. The question was discussed at some length pro and con and upon the vote being taken thereon, the Lodge refused by a decisive vote to recommend. I certify that the foregoing is a true and correct transcript of the minutes of Olympia Lodge, No. 1, in relation to the matter therein referred to made and adopted at a regular meeting of the Lodge held at Masonic Hall in Olympia Sept. 6, A. D. 1869, A. L. 5869. T. M. Reed, Secy. Pro. Tem. The following is a copy of a portion of the record of the proceedings of Olympia Lodge, No. 1, stated meeting, held Feb. 4, 1871. Present: W. E. Boon, L. Bettman, Wm. Billings, Ben. Harned, T. F. McElroy, Robert Frost, Fred A. Clark, A. Farquhar, Willard, Reed, Evans, Weed, Hale, Sparks, Myers, Jas. Biles, Berry, Ethridge, Gunn, Rogers, Sylvester, Cooper, Young, Crosby, Lane, Shelton, Hubbard, Waldrick, Offut, Mengle, Munson, Stevens, Sohm, Treen, J.B. Biles, Grainger, Steel, Vincent, Hartsuck, and visiting Brothers Lauthan, Roberts, Crawford, Robinson, Smith, Lowe, Hayden Deer, Webster, and others. A Lodge of Master Masons was opened in due and ancient form. Petition for recommendation for organizing of a new Lodge in Olympia was read and, after debate, the Lodge granted the petition by a vote of 20 to 18. A letter to the Grand Master. Hall of Olympia Lodge, No. 1, A. F. & A. M.
M. W. J. T. Jordon, Grand Master. At a stated meeting of Olympia Lodge, No. 1, held on the evening of February 4, 1871, a petition was received from Bros. I. Harris, R. C. Crawford, L. G. Abbott, George Robinson, F. M. Sargent, J. M. Lowe, E. L. Smith, John Webster, L. L. Barlow, M. H. Scott and E. P. Ferry, praying a recommendation from the Lodge to the M. W. Grand Master that Letters of Dispensation be granted them to organize a Lodge in the Town of Olympia. On motion to recommend it was carried by a vote of twenty to eighteen. Witness the Seal of the Lodge. A copy of the Petition Sent to the Grand Lodge With the Names of the Signers in Their Own Hand Writing. 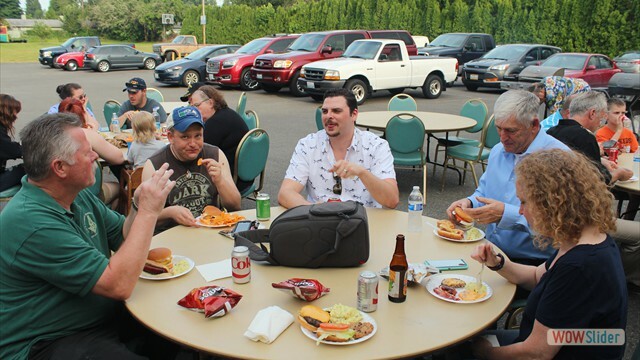 To the Most Worshipful Grand Lodge of the Territory of Washington. 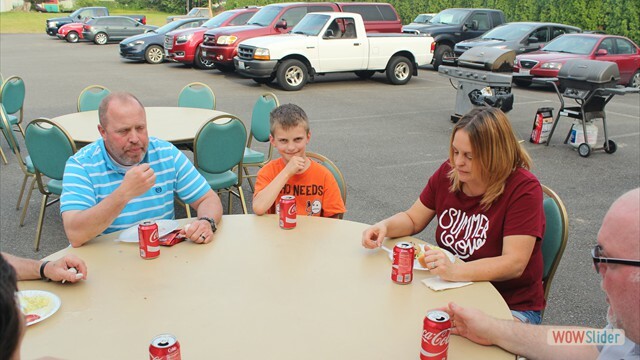 That for the convenience of their respective dwellings and for other good reasons they are desirous of forming a new Lodge in the Town of Olympia, to be named Harmony Lodge. They therefore pray for Letters of Dispensation or a Warrant of Constitution to empower them to assemble as a legal Lodge, to discharge the duties of Masonry in a regular and constitutional manner, according to the original forms of the Order, and the regulations of the Grand Lodge. They have nominated and do recommend Bro. E. L. Smith to be the first Worshipful Master, Robert Frost to be the first Senior Warden and George Robinson to be the first Junior Warden of said Lodge. If the prayer of the petition shall be granted, they promise a strict conformity to all the Constitutions, Laws and Regulations of the Grand Lodge. Signed: I. Harris, J. H. Munson, E. L. Smith, L. G. Abbott, Robert Frost, Jacob L. Myers, George Robinson, John Webster, F. M. Sargent, Moses H. Scott, Jesse M. Lowe, John R. Thompson, E. P. Ferry. I have one communication that I think belongs in the early history of Harmony Lodge. Enclosed you will find Dispensation for a new Lodge at Olympia. I want you to see that all members that hail from Olympia Lodge, No. 1, that have their names upon this Dispensation or that want to affiliate with you, have their Dimits from that Lodge, for this reason: If a member has a voice in both Lodges trouble will follow, and the best way is to guard all of those avenues and start upon a firm and safe foundation. JOHN T. JORDON, Grand Master. The first stated communication of Harmony Lodge, U.D., of which we have any record is taken from the Tyler's register dated Saturday, March 25, 1871. The members present who signed the register were: Ezra L. Smith, W. M.; Robert Frost, S. W.: George Robinson, J. W.: J. H. Munson, Secretary; E. P. Ferry, F. M. Sargent, L. G. Abbott, M. H. Scott, John Webster and J. L. Myers. Visiting members were: David Stephen, W. J. Grainger, W. E. Brown, Benjamin Vincent, John Dooly, John Rojars, F. M. Lampier and William Billings from Olympia Lodge, No. 1, and William H. Gilliamm, of St. Johns Lodge, No. 9, Seattle. Twenty-three very busy an no doubt interesting meetings were held under dispensation up to Sept. 21, 1871, when a charter was granted and accepted as Harmony Lodge, No. 18. I will now endeavor to enumerate those charter members briefly as they concern this Lodge, with a personal sketch of each. This I do principally from memory and hearsay, together with what records are available. 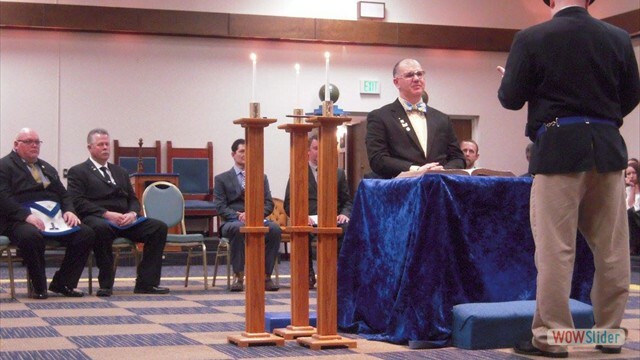 Ezra L. Smith was the first Worshipful Master of Harmony Lodge. He was born in the state of Vermont in the year 1837. He was educated in Lombard University in the state of Illinois. Later becoming a close personal friend of Abraham Lincoln, he was a delegate to the national convention that nominated Lincoln for the presidency in 1860. On March 4, 1861, he married Georgiana Slocum, a fellow Lombard student, and they immediately started for New York City where they embarked on a sailing vessel for California. He engaged in mining for several years, and was elected to the California General Assembly and was credited with being largely instrumental in holding California in the Union. In 1867 he was appointed secretary of the Territory of Washington and moved to Olympia, with his family. Later, for a time, he was acting Governor for the territory. The family resided on Franklin street in a dwelling where the Woman's Club now stands. Later he built the home on the corner of Capitol Way and Eleventh street where the Thurston County court house now stands. Their home was credited with being the gathering place for old and young and noted for its hospitality. Brother Smith was active in civic and business affairs and at the close of his term of office was associated with George A. Barnes and William H. Harvey, establishing the first bank in Olympia. He was a signer of the dispensation for Harmony Lodge and a charter member. He deposited a dimit from Alpha Lodge, No. 155, of Galesburg, Illinois. On account of failing health he disposed of his interests in Olympia and on Feb. 26, 1876, was granted a dimit. The family removed to Hood River, Oregon. Bro. Smith, however, lived a long and eventful life, and died Jan. 22, 1921, at the age of 84 years. John R. Thompson, a charter member and one of the signers of the dispensation for Harmony Lodge, was born in England of Scottish parents while on their way to Prince Edward Island to make their new home. He grew to young manhood and was educated for the ministry in Canada. In 1870 he received a call to the pastorate of the Presbyterian church in Olympia, arriving here on July 8, of that year. This connection continued over a period of thirteen years and during that time he won for himself the reputation of being one of the ripest scholars, ablest preachers and energetic missionaries in the Territory of Washington. He deposited a dimit from Orient Lodge, No. 49, of Halifax, Nova Scotia. He was honored by Harmony Lodge by being elected Treasurer in 1876 and 1877, Secretary in 1878, Senior Warden in 1880 and Worshipful Master in 1881. He was also Grand Chaplain of the Grand Lodge of Washington in 1872, 1873, 1878 and 1879 and Grand Bible Bearer in 1880 and 1881. Changing his residence to Vancouver, Washington, He asked and received a dimit Sept. 1, 1888. He was appointed and accepted as Chaplain of the First Washington Volunteers during the Spanish American War, and died at Manila, Philippine Islands, February 19, 1899. Robert Frost, the second Worshipful Master of Harmony Lodge, in 1872, was born in London, England, in 1825. He learned the bricklayer's trade, afterward going to sea, landing in Portland, Oregon, In January 1856, where he worked at his trade until the Frazier River gold rush, joining a party of one hundred, going overland to the new diggings. He met no success mining so removed to Olympia and worked for a time in a printing office, the returning to his trade as a bricklayer. Later he engaged in the hard-ware business and for years was located where the Mills & Austin hardware store now stands. He also was located in Tacoma for a time in the early days of that city and while there, among others, helped organize Tacoma Lodge, No. 22 F. & A. M. After a short residence in Tacoma he returned to Olympia where he was one of the organizers of the Olympia Light & Power Company. After the depression of 1896, when he and his associates were all but cleaned out financially, he ran for and was elected county treasurer. Later he served as police judge for a number of years. He dimited from Harmony Lodge in 1874. Brother Lewis G. Abbott, father of our present Tyler, Wm. J. (Bill) Abbott, was born in February, 1829, near Detroit, Michigan. He learned the printer's trade and married in 1850. In 1854 he, with a party of men, left for California, making the trip by ox team. He engaged in mining at Placerville and George Town. In 1857 he sent for his wife and child, they joining him at George Town. In 1860 the family moved to Olympia, Washington, where Bro. Abbott worked as a printer on the Washington Standard. He pre-empted a farm seven miles south of Olympia which he improved. In connection with his farming activities he identified himself with the publication of some of the early newspapers of the territory. He was honored in politics, serving one term as county treasurer, and was also honored by Harmony Lodge, being appointed as Junior Deacon in 1871, Senior Steward in 1898, 1899, and 1900, Secretary in 1901 and Senior Steward in 1902. Died Feb. 7, 1902. Brother Isaac Harris was a charter member of Harmony Lodge and an early pioneer of this section. He came to the Territory of Oregon in 1853, and on to Olympia in 1869 with his family, establishing the Harris Dry Goods company, which still operates in Olympia, but under different management. Bro. Harris came to Harmony Lodge from Olympia Lodge, No. 1, and was an active member until the time of his death, Feb. 16, 1905. His death occurred in New York City while there on business for his company. He was buried in the Jewish cemetery in Olympia with full Masonic honors. Brother Moses H. Scott was a charter member of Harmony Lodge and came to us from Merced Lodge, No. 176, of Merced, California. He was a merchant and conducted a store on the corner of Main and Fifth streets where the Walker building now stands. He owned, or at least, had an equity, in the property on Black Lake known as The Orchard. On selling his store he took a dimit from Harmony Lodge in 1872, left the country, and apparently all trace of him was lost. After many years, the Black Lake property not being represented, the courts declared him legally dead. During the boom days of the early nineties he suddenly reappeared and in attempting to recover his property failed to convince the court that he was still alive, the court holding that he was legally dead and therefore held no claim on this property. After visiting a few days with old friends and neighbors, he again disappeared, and as before left no trace as to his whereabouts nor have we been able to ascertain anything further regarding him. Bro. Scott was the first treasurer of Harmony Lodge. Brother Jesse M. Lowe, also a charter member of this Lodge, came on dimit from Mystic Circle Lodge, No. 109, of Baltimore, Maryland. He conducted a book and stationery store in Olympia for a number of years, finally selling the business and, together with is family, moved to San Francisco, California. He was treasurer of this Loge in 1874 and 1875, dimiting in 1876. Bro. 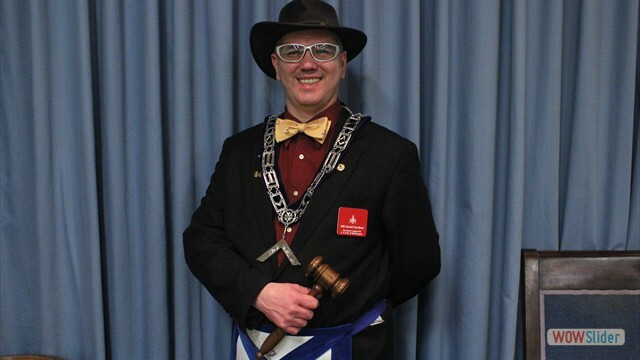 Jacob L. Myers, a charter member, came on dimit from Olympia Lodge, No. 1. His occupation was that of a laborer. He cleared and improved the site where the Woman's Club now stands. He was Senior Steward in 1875, Tyler in 1876, 1877 and 1878, Junior Deacon in 1879 and Treasurer in 1880, 1881, 1882, 1883, 1884. Dimited Nov. 26, 1887. Died in the Soldiers' Home at Roseburg, Oregon. Was buried at Olympia, Washington, by Harmony Lodge with full Masonic honors, Feb. 3, 1901. Brother Francis Marion Sargent was a charter member of this Lodge. He was a member of Grand Mound Lodge, No. 3, until the surrender of their charter, and affiliating with us by reason of that fact. He was one of a pioneer family of Sargents that settled near Grand Mound in the early days. As a young man he taught school and was married to one of the Biles girls of Tumwater, another one of the pioneer families of the territory, the head of the Biles family taking an active part in the early Masonic history of Washington. Brother Sargent was appointed a customs inspector and operated on the boats running from Olympia to Victoria, B. C. He was never an active member, due principally to his employment and consequent absence from home. He was suspended for N. P. D., April 26, 1879. Brother George Robinson was a charter member and the first Junior Warden of Harmony Lodge. He came on dimit from British Columbia Lodge, No. 1187, of Victoria. He was a photographer and formed a partnership with Dr. A. B. Woodard, later selling his interest to him. Dimited August 10, 1872. Brother John Webster, a charter member, was the first Tyler of Harmony Lodge, U. D., in 1871. Dropped for N. P. D., Sept. 28, 1878. Brother Josiah H. Munson was a pioneer of the Puget Sound country, coming from the state of Maine by way of Cape Horn, landing at Port Townsend in April, 1858. Later he moved to Olympia, was territorial treasurer and for some time territorial librarian. Was also postmaster at Olympia. Was a member of Olympia Lodge, No. 1. As a charter member of Harmony Lodge, he was the first Secretary elected by the Lodge in the year 1871. He was re-elected as Secretary in 1872, 1873, 1874, 1875 and 1876. Appointed Senior Steward in 1880. Elected Treasurer in 1881, Junior Warden in 1882 and again as Treasurer in 1884. In 1887 he was dropped for N. P. D.
Brother Elisha P. Ferry was born in Monroe, Michigan, August 9, 1825, and received his education in his native state. Studied law in Indiana and was admitted to the bar in 1845, being but twenty years of age. Moving to the state of Illinois he began the pracatice of his profession, was active in politics and a member of the first Republican National Convention. He rendered distinguished service on the staff of Governor Yates, of Illinois, with the rank of Colonel during the war of the rebellion. In 1869 he was appointed Surveyor General of the Territory of Washington and moved to Olympia to take charge of the duties of his office. He was one of the charter members of Harmony Loge and was the first Senior Deacon. Was elected Senior Warden in 1872, Worshipful Master in 1873, 1874, 1875, and Junior Warden in 1876, Senior Warden in 1877. 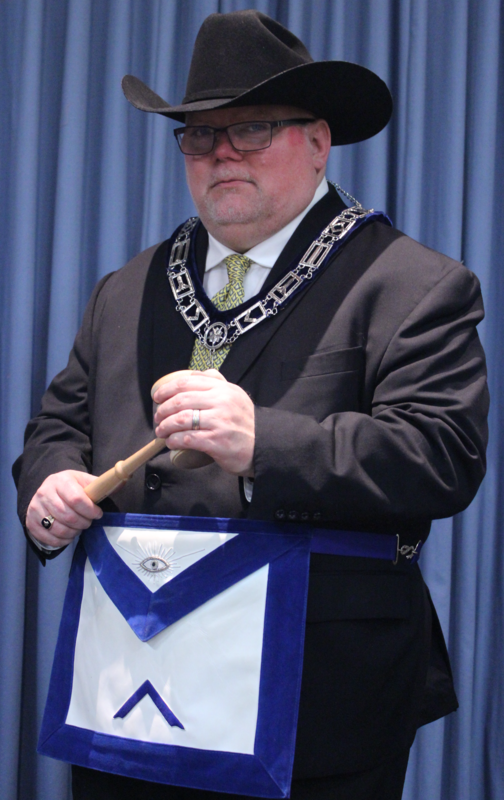 Brother Ferry was elected Grand Master of the Most Worshipful Grand Lodge of the Territory of Washington in 1878 and also re-elected as Worshipful Master of Harmony Lodge, No. 18, for the same year. In 1872 he was appointed Governor of the Territory of Washington and reappointed in 1876. In 1880 he moved to Seattle and engaged in the practice of law, and later in the banking business, being vice-president of the Puget Sound National Bank. On September 4, 1889, he was nominated for Governor of the newly created State of Washington. Removing again to Olympia to assume his new duties, Harmony Lodge, on December 11, 1889, re-elected him as Worshipful Master. The election was confirmed but he was never installed. Brother Ferry was active in Grand Lodge work, serving in various offices and committees as well as that of Grand Master. He retained his membership in harmony Lodge until his death, which occurred October 14, 1895. The foregoing are the men and Masons who organized Harmony Lodge, No. 18, sixty-two years ago and who started it on its way under dispensation, March 25, 1871. As will be seen, four of them were honored by being elected Worshipful Master of the Lodge: Ezra L. Smith, a charter member, being Master in 1871; Robert Frost, a charter member, Master in 1872; Elisha P. Ferry, a charter member, Master in 1873, 1874, 1875, 1878; John R. Thompson, a charter member, in 1881. PAST MASTERS OF HARMONY LODGE, NO. 18. 1. Ezra L. Smith. Master in 1871. A charter member. 2. Robert Frost. Master in 1872. A charter member. 3. Elisah P. Ferry. Master in 1873, 1874, 1875, 1878. A charter member. 4. Henry Sabin. Master in 1876-1879. Was a gunsmith and made a Mason in Harmony Lodge. 5. Robert Mack. Master in 1877. A saddler by trade. Made a Mason in Harmony Lodge. 6. George Gaston. Master in 1880. Woodsman. Was made a Mason in Harmony Lodge. 7. John R. Thompson. A charter member. Master in 1881. 8. N.S. Porter. A lawyer. Received his Fellow Craft and Master Mason degrees in Harmony Lodge. Was Master in 1882, 1883, 1884, 1885, 1886, 1895. 9. Charles J. Petterson. Lumberman. Was Master in 1887. Was made a Mason in Harmony Lodge. 10. Thomas H. Cavanaugh. Timber inspector. Came to us on dimit from Orient Lodge No. 51, of Kansas. Was Master in 1888, 1889, 1890. 11. Adis I. Ashcraft. Blacksmith. On dimit from Ellenwood Lodge, No. 217, Kansas. Master in 1891, 1892. 12. James Renwick Pattison. A native son. Was made a Mason in Harmony Lodge. Was Master in 1893. 13. 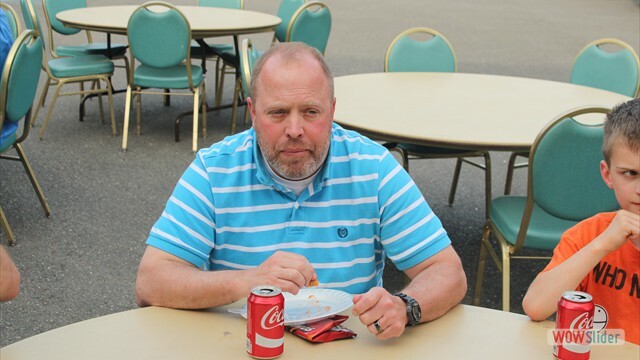 John C. Rathbun. On dimit from Midland Lodge, No. 623, Texas. Master in 1894. 14. William L. Bilger. Merchant. Made a Mason in Harmony Lodge. Was Master in 1896. 15. Fletcher D. Frost. A farmer. Made a Mason in Harmony Lodge. Was Master in 1897. 16. Brad W. Davis. Came to Harmony Lodge an Entered Apprentice on a waiver of jurisdiction from Chehalis Lodge, No. 28, and received the F-C and M-M degrees in Harmony Lodge. Was Master in 1898, 1907, 1917. 17. W. A. Lang. A mechanic. Came on dimit from Unity Lodge, No. 273, Clearwater, Kansas. Master in 1899, 1901. 18. Ezra Calhoun. Came on dimit from Scott Lodge, No. 120, Austin, Indiana. Was Master in 1900. 19. Alex Wright. Fireman. Master in 1902-1903. Was made a Mason in Harmony Lodge. 20. Herman Whitney. Logger. Was made a Mason in Harmony Lodge. Was Master in 1904. 21. Charles V. Leach. Deputy Clerk, Superior Court. Was made a Mason in Harmony Lodge. Was Master in 1905-1906. 22. John H. Schively. Deputy Insurance Commissioner. Made a Mason in Harmony Lodge. Was Master in 1908. 23. Winthrop H. Bennett. Farmer. Made a Mason in Harmony Lodge. Was Master in 1909. 24. R.H. Luepke. Bookkeeper. Received his degrees in Harmony Lodge on request from Garden City Lodge, No. 141, Chicago, Illinois. Dimited to Harmony Lodge. Was Master in 1910. 25. William T. Wright. Laborer. Received on dimit from King David Loge, No. 407, Altoona, Iowa. Was Master in 1911-1914. 26. Sam Y. Bennett. Farmer. 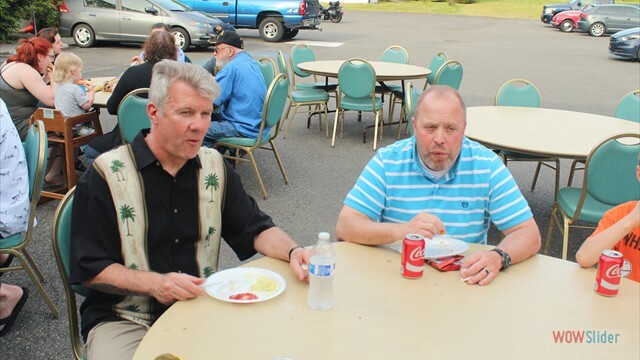 Received on dimit from Tenino Lodge, no. 86. Was Master in 1912. 27. William J. Abbott. Farmer. 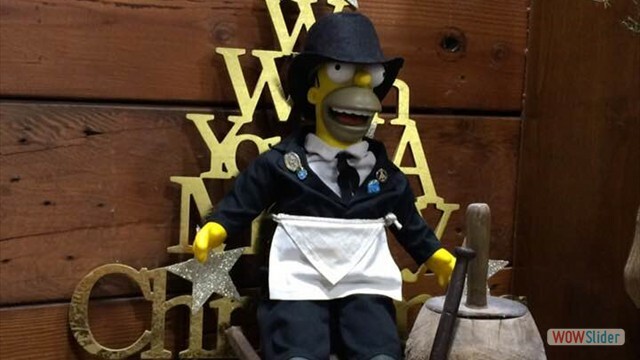 Was made a Mason in Harmony Lodge. Was Master in 1913. 28. John W. Dent. Carpenter. Made a Mason in Harmony Lodge. Was Master in 1915. 29. Robert W. Bates. Millman. Was made a Mason in Harmony Lodge. Was Master in 1916. 30. James E. Clark. Printer. Made a Mason in Harmony Lodge. Was Master in 1918. 31. R. James Morris. Lumberman. Was made a Mason in Harmony Lodge. Was Master in 1919-1920. 32. Albert G. Kerns. Lumberman. Received by dimit from Arlington Lodge, No. 129, Arlington, Washington. Was Master in 1921. 33. Fredrick H. Higgins. Blacksmith. Received on dimit from Oakville Lodge, No. 181, Oakville, Washington. Was Master in 1922. 34. Charles D. Lindley. Machinist. Was made a Mason in Harmony Lodge. Was Master in 1923. 35. John W. Stevenson. Shipbuilder. Was made a Mason in Harmony Lodge. Was Master in 1924. 36. J. Orvil Rummens. State employee. Received on dimit from Evening Star Lodge, No. 30, Pomeroy, Washington. Was Master in 1925. 37. Harry R. Lindley. Dye works owner. Made a Mason in Harmony Lodge. Was Master in 1926. 38. Charles B. Collins. Salesman. Was made a Mason in Harmony Lodge. Was Master in 1927. 39. Theodore A. Randall. Assistant Auditor. Was made a Mason in Harmony Lodge. Was Master in 1928. 40. George W. Davis. Farmer. Received by dimit from Star Lodge, No. 88, Decatur, Nebraska. Was Master in 1929. 41. Thad. E. Child. Printer. Was made a Mason in Harmony Lodge. Was Master in 1930. 42. Lloyd A. Smith. Made a Mason in Harmony Lodge. Was Master in 1931. 43. Raymond E. Jorgenson. Butcher. Made a Mason in Harmony Lodge. Was Master in 1932. Of these forty-three men, twenty-seven are still living, four have dimited and are members of other Lodges. Harmony Lodge has received four hundred and forty petitions for the degrees and affiliations, many of them rejected, and have issued many dimits. Today we have on the Lodge roll of members one hundred and eighty-seven in good standing, and men of nearly every business, trade and profession. 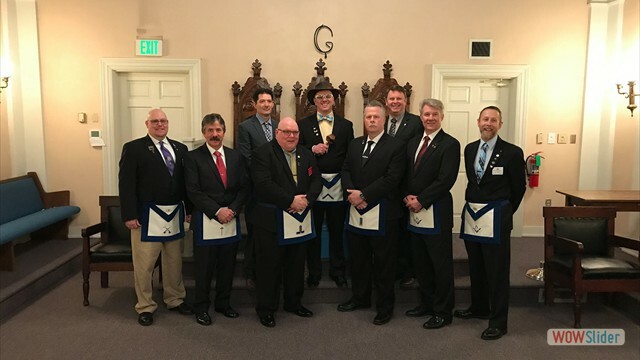 Two members of Harmony Lodge have been elected and served as Grand Masters of the Grand Lodge of Washington. Brother Elisha P. Ferry was elected in 1878 and Brother Nathan Smith Porter was elected in 1888. Bro. Porter was also further honored by being elected Grand Treasurer in June, 1900, and re-elected every year thereafter until 1920. On February 22, 1873, there was conferred a third degree in Harmony Lodge that should be remembered. As there is no official record of just everything that occurred at that meeting, I will relate a part of what happened that evening as it was told to me. While the candidate was being obligated there was a very severe earthquake shock. Everyone forgot the candidate during the excitement and ran downstairs. When they decided that there had been no particular damage done they returned to the Lodge room to find the candidate still at the altar. When asked what he thought of the earthquake, he exclaimed: "Earthquake! I thought that was a part of the ceremony!" Section 1. The name of this Lodge shall be HARMONY LODGE No. 18, F. & A. M.
Sec. 2. The stated communications of this Lodge shall be held on the second and fourth Fridays of each month at the hour of eight o'clock P. M.
Sec. 3. 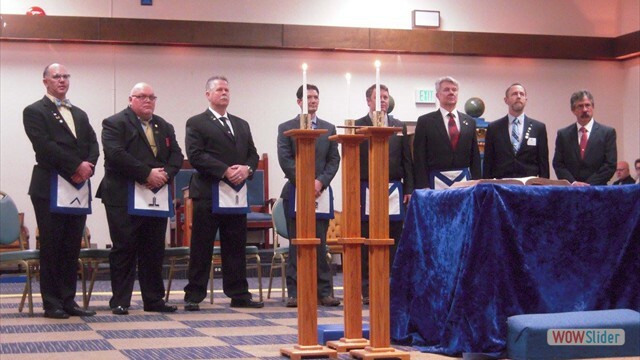 All communications of the Lodge shall be held in the Masonic Temple, Olympia, Washington. Sec. 4. The fee for the three degrees shall be Fifty-five Dollars ($55) and shall in every instance accompany the petition, and be in addition to the contribution to the Masonic Home fund as and when required by the Grand Lodge statutes. Sec. 5. When, for any cause, it will be necessary to divide or segregate the fee for the degrees it shall be done as follows, to-wit: For the Second Degree, Fifteen Dollars ($15), and for the Third Degree, Twenty Dollars ($20). Sec. 6. The annual dues for each member shall be Six Dollars ($6), payable in advance on or before the first stated communication in each year. Members raised during the year shall pay the following dues: Between January 1st and March 31st, Six Dollars ($6); between April 1st and June 30th, Four and 50-100 Dollars ($4.50); between July 1st and September 30th, Three Dollars ($3); between October 1st and December 31st, one and 50-100 Dollars ($1.50). Sec. 7. 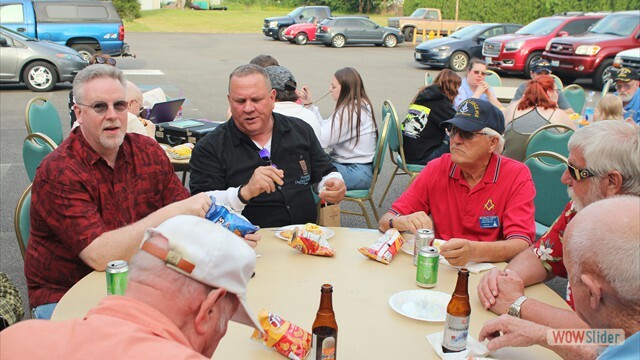 There shall be no fee for affiliation, but one year's dues shall accompany the petition for affiliation, and be in addition to the contribution to the Masonic Home fund as and when required by the Grand Lodge statutes. Sec. 8. There shall be a Finance Committee composed of the Senior Warden, Junior Warden, and one other member, to be appointed by the Master of the Lodge, whose duties it shall be to examine and pass upon all bills presented to the Lodge; to examine the annual reports, books, vouchers, etc., of the Treasurer and Secretary, making a detailed report in writing at the next stated communication of the Lodge following the installation of officers; and, subject to the approval of the Master of the Lodge, invest the accumulated funds of the Lodge in excess of current expenses. Sec. 9. Except upon the unanimous consent of all members present and voting, no donation of the funds from the Treasury of this Lodge shall be made to any institution whatsoever which is not under the sole management of a regularly constituted Masonic Body. Sec. 10. The Worshipful Master shall be empowered to draw on the Treasury for sums not exceeding Twenty Dollars ($20) each draft, for the relief of indigent members or their families, and shall report the same to the Lodge at the next stated communication. Sec. 11. The Secretary shall receive as compensation for his services as Secretary of the Lodge, such sum as the Lodge may determine by resolution. Sec. 12. The Tyler shall receive as compensation for his services as Tyler of the Lodge, such sum as the Lodge may determine by resolution. Sec. 13. Any member of the Lodge in good standing, who has rendered exceptional service to Freemasonry, may be elected to life membership at any stated communication, by a two-thirds affirmative vote of the members present taken by written ballot, provided that thirty days previous nomination shall have been given in open Lodge. Life members shall be exempt from the payment of all dues and assessments levied by the Lodge. Sec. 14. Amendments to these By-Laws shall be proposed in writing at a stated communication and approved by a two-thirds vote of all members present at a subsequent stated communication. THIS IS TO CERTIFY, That the resolution to amend Sec. 13 of these By-Laws was introduced Nov. 23rd, and passed Dec. 14th, 1928. Louis D. Johnson, W. M.
Bert W. Allen, J. W.
Fred W. Wuest, S. D.
Dan H. Lind, J. D.
Humphry G. Williams, S. S.
William Wilkening, Bert W. Allen, Ray E. Jorgenson.